A star and a barcode — these two elements are the difference between a federally-approved, REAL ID compliant identification and a state-issued driver’s license, according dmv.org. Beginning Oct. 10, the federal government began requiring travelers on commercial airlines, and visitors to military bases and federal facilities to present a REAL ID compliant document. U.S. Passports meet the standard but Oklahoma driver’s licenses do not. However, along with 11 other states, Oklahoma has chosen not to conform so the U.S. Department of Homeland Security has granted Oklahoma an extension to comply with the act. 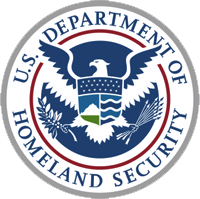 According to the Department of Homeland Security’s website, the REAL ID Act was signed into law in 2005 and sets specific standards for identification documents across the states in an effort to prevent terrorists from using fraudulent IDs. In 2007, Oklahoma Legislature enacted section 6-110.3 of Title 47 of the Oklahoma Statutes, prohibiting the Department of Public Safety from implementing the REAL ID Act of 2005. Former House Representative Charles Key was a co-writer for the section which prohibits Oklahoma from implementing REAL ID Act components. He said he is against REAL ID because it uses biometrics to collect fingerprints and iris scans. According to dmv.org, each state must agree to share its database of licensed drivers and citizens with all other states. Privacy Activist Kay Beach said she has studied the REAL ID Act for eight years. She said, according to the law, there are three official purposes that require a REAL ID: entering a nuclear facility, flying on a commercial airplane, and entering certain federal buildings. Beach said Oklahoma has been granted two extensions to comply with the act, something she thinks is unlikely to happen again, considering the legislation the state has passed to prevent compliance. She also said if travelers forget their ID, Transportation Security Administration (TSA) officers can use databases to ask a series of questions to verify the person’s identity. A TSA Customer Service Representative who declined to give her full name said Oklahomans can still travel on commercial airlines when the REAL ID program goes into effect, as long as they present two forms of ID. “If someone’s ID is not REAL ID compliant by the time the full program is enforced, they can still use a non-compliant driver’s license or ID card along with a second form of ID when they’re travelling,” she said. She said there is no list for alternative forms of ID — it can be anything that includes the person’s name and either a photo, address, Social Security number or date of birth. Examples are a birth certificate, marriage license, passport and credit card. For more information on the REAL ID Act, visit www.dhs.gov/secure-drivers-license-documentation. To read the act, visit www.dhs.gov/xlibrary/assets/real-id-act-text.pdf.